View Galleries : Lance B has 405 galleries and 12689 images online. These pages have been viewed a total of 2788338 times. 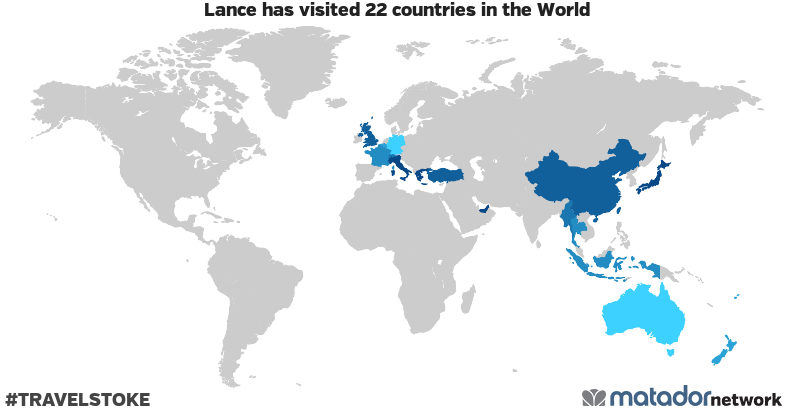 Lance has been to: Australia, Belgium, People's Republic of China, Fiji, France, Germany, Greece, Hong Kong, Indonesia, Italy, Japan, Macao, Malta, Myanmar, New Zealand, Singapore, Switzerland, Thailand, Turkey, United Arab Emirates, United Kingdom, Vatican.